UCD Archaeological Society : Charity meets SHIELDS ! Calling all warriors out there ! Charity meets SHIELDS ! Calling all warriors out there ! Relay for Life is taking place in less than 2 weeks and we are quite excited to announce that we are going to organise a SHIELD PARADE ! We are calling everyone who's done Combat Archaeology to join us on Wednesday 9th April afternoon (between 2:30pm and 6pm more likely but we will arrange the time with the participants). Fancy dress is also highly encouraged and even if you don't have a shield, you can join the parade ! The Relay organisers will announce us and we are going to march around the Relay track for one lap to the sound of something ridiculously epic like 300 or Gladiator (we still haven't decided) and we're going to show off our beautiful shields. 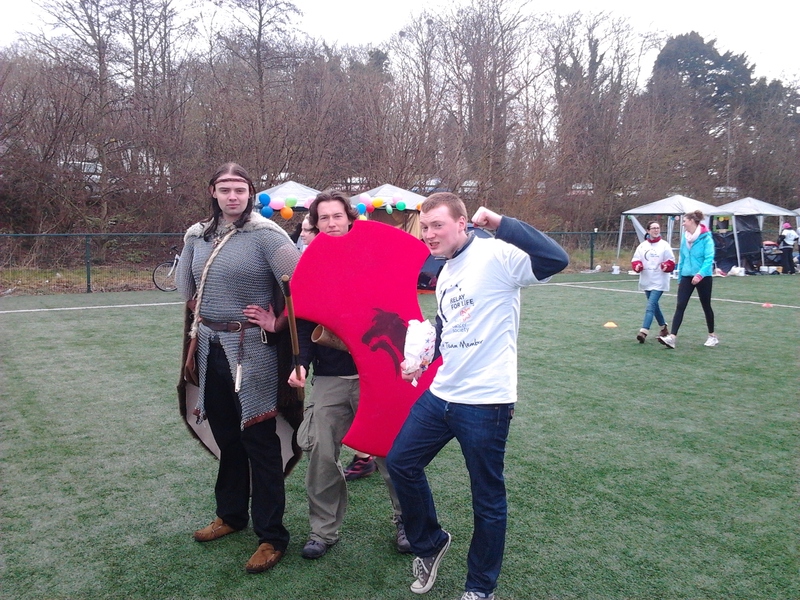 Last year, we had ONE shield and ONE Viking (and one Robin Hood too) and our stall got so much attention ! So imagine if it is 5, 10, 15....20 (!) of us parading on the pitch with shields. Just imagine how many people would come down to our stall and ask us about them...and buy baked goodies from our 24-hour bake sale and help us fundraise for the Irish Cancer Society ! So people, students, archaeologists (SPARTAAAAAANS !!! ), give me your best warring shout and email me at alexandra.guglielmi@ucdconnect.ie to join the parade and help give the Society and the School the attention they deserve, and help us raise funds for the Irish Cancer Society!